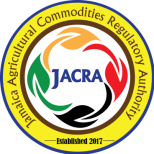 Responsible for: Licensing and monitoring of the commodities, dealers, processors, works and nurseries; and trademark registration. Responsible for: Definition of quality standards, growing areas; recommending plant varieties and certifying quality of the commodities; sample testing; handling of export documentation and preparation when requested to do so. Responsible for: Collection and Administration of Cess charged on imports and exports of the specified products and substitutes as approved by Parliament and the Portfolio Minister. Responsible for: Providing farmers and other relevant stakeholders with information and capacity building resources through demonstrations, workshops and training sessions, as well as research and development activities pertaining to quality standards and international best practices.